In addition to the patient comfort provided by the soft, pliable air cushion of the disposable face mask, the direct dose feature reduces patient anxiety because no needle is used. The syringe luer locks tightly to the direct dose tube, away from the patient's face. The one-way valve prevents the gas from reversing through the mask luer connector, allowing the technologist to disconnect immediately after injecting. 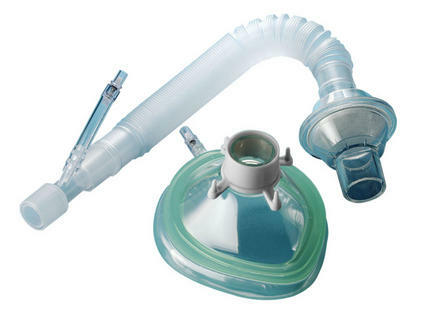 Convenience kit includes face mask, administration adapter, bacteria filter and ultra-flex tubing. *NOTE: Each kit is sold in multiples of 25.